How often have you come across milk which seems unusually watery? How often have you purchased grains which are mixed with tiny stones? How often have you wondered whether the bright green cabbage you bought is laced with chemical dyes or that the egg you are about to feed your child is really an egg or perhaps an artificial one? Yes, we are talking about the menace of food adulteration. Food adulteration is the act of intentionally mixing a food item with an inferior or harmful substance and subtracting a nutritious component, thus making it unfit for consumption. It not only includes the addition of a substance, but the chemical contamination during the growth period, storage and distribution of the product. Do you think that the chances of getting a stomach bug happen only if you eat street food or from roadside eateries? Think again! The food that you prepare with love at home or the fancy food that you order from a high end restaurant are all equally susceptible to being adulterated or contaminated. Before we dig into the why’s and how’s of food adulteration, I would like to share a few facts and cases regarding the issue. According to the government data, food served in more than 25 percent of Indian restaurants is adulterated. Statistics reveal that the states with the most adulterated items and products are Uttar Pradesh, Maharashtra and Delhi. As tested by the government, 20 percent of the food items you consume is sub-standard or adulterated. More than 70% of restaurants in Jharkhand are operating without a food safety license. As stated by the Food Safety and Standards Authority of India (FSSAI), 68 percent of milk in the country is adulterated. A study conducted by the Centre for Science and Environment’s Pollution Monitoring Lab (New Delhi) with 70 samples of chicken from Delhi, Noida, Gurgaon, Ghaziabad, and Faridabad were tested, which revealed 40% of these samples were injected with antibiotics. July 2013: Ashish, a five-year-old child, lost his life against the battle of food poisoning in Bihar’s Dahrmasati Gandawan village due to the contamination of the midday meal with toxic insecticides. October 2014: A KFC branch in Thiruvananthapuram, Kerala was temporarily shut-down after worms were found in a chicken dish. January 2015: A deputy commissioner in Uttar Pradesh confiscated 23,000 liters of non-edible oil from traders who had a license to produce mustard oil. The oil was made to look like mustard oil by adulterating it with an artificial essence and a yellow oil-colored substance. There are numerous reports of adulteration in other cooking oils as well. Some media reports claim that there is not even a drop of coconut oil in what is being sold in the market by the name despite coconut oil being known as one of the healthiest and most trusted oils to cook with. Manufacturers are exploiting the trust that consumers have placed on various products. Unfortunately, these numbers and cases show the rate of adulteration is increasing exponentially with every passing year. However, the reality is much worse than these numbers. In 2015, India has acknowledged the scale of its food adulteration as an epidemic! The intentional act of food adulteration has a primary selfish motive behind it, specifically financial gain. Usually a food item is adulterated to add volume, texture, stability or taste. The subtraction of a valuable component with a heavier substance is done to increase the weight, reduce its quality and in turn, make it appear bigger and sell it for a greater value. An unintentional adulteration is a result of ignorance, carelessness, or lack of facilities to maintain the quality of food. Poor maintenance by the food manufacturer, improper hygiene protocols and food handling may lead to the contamination of the food product. Certain harmful chemicals are added to increase the shelf life of the food item. There is a high probability that (unknowingly) a lot of what you eat is adulterated. Most of it goes undetected by us, especially packaged food items. For that purpose, the FSSAI has listed the most commonly adulterated foods for our awareness and safety. Milk is one of the most adulterated foods found in our country. Due to the lack of hygiene and sanitation, detergents make their way into milk. However, various contaminants are added intentionally to provide viscosity and preserve milk for a longer period of time such as urea, glucose, starch, chalk and caustic soda. The alarming rise of adulteration has affected the health of hundreds of people causing food poisoning, gastrointestinal complications and certain long term side effects such as impairments and even cancer! 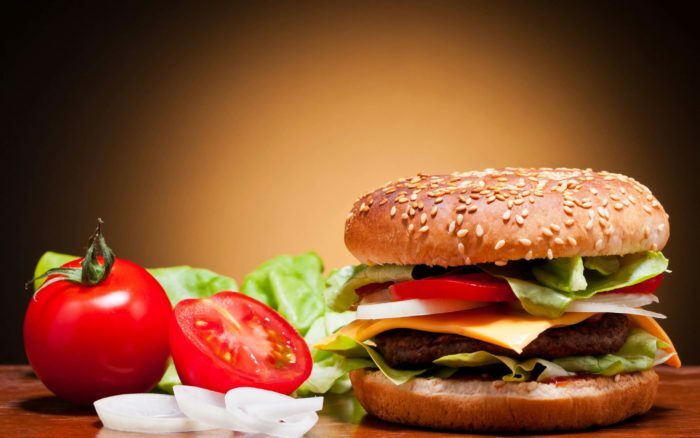 Over the past two decades, our food industry has been booming steadily. However, to every ethical aspect, sadly there is an amoral side. Fruits and veggies have been found coated with cancerous chemicals and carbohydrates to prolong their shelf life. Many fruits such as bananas, litchis, papaya, watermelons and mangoes are exposed to carbide (a carcinogen) that emits ethylene gas and heat, thus speeding up the ripening process. Similarly, green vegetables are coated with wax to give a shine, carrots are dipped in red water and watermelons are injected with a red dye to give it a bright red shade. The chemical carbide which is used to ripen fruits is extremely harmful to the kidney and liver, whereas the various dyes used (sudan red, methanol yellow and lead chromate) end up damaging the male reproductive organs and cause stomach diseases, brain damage, cancer and sometimes blindness. Rice and pulses make up a huge part of our staple food in India. These basic grains and pulses are adulterated to a huge extent these days. Rice is mixed with small stones, mud balls, twigs and stems to increase its weight per quintal. Not only are these adulterants carriers of infections but also are damaging to the gums and stomach. Split red gram (arhar dal) and split chick peas(chana dal) are adulterated with Kesari dal(Grass pea). Despite the ban, it is still readily available in the market. Consumption of this dal leads to numbness in the spine and paralysis of the lower body. Since the price of arhar dal is shooting up, retailers have started mixing kesari dal. Thereby, ensuring the economically weaker sections a lowered price, and a health hazard known by the name Lathyrism or neurolathyrism. Household spices and condiments are often adulterated to enhance the color or add weight to it. Metanil yellow/lead chromate is the most commonly used adulterant in turmeric powder and is purely carcinogenic(capable of causing cancer). Chili powder is adulterated with a similar red colored substance-brick powder. Black pepper and cumin seeds are often mixed with papaya seeds and charcoal dust respectively to hide the aging of a product. These powdered chemicals and colored substances primarily affect the gastric and endocrine system, ultimately causing food poisoning, liver disorders and cancer. The poultry industry has attracted a lot of adulterators due to its high commercial value in the market. The bacon you had for breakfast is the focal point of a debate over the use of antibiotics in it. Antibiotics are prescribed to treat every possible infection known to mankind and apparently also the animals that provide us with chicken, pork and beef. Farmers have pointed out the need to use antibiotics(to keep the animals healthy) for the production of meat on a large scale. Sometimes, the overexposure of antibiotics can lead to drug-resistant infections in the livestock. Thus, the consumption of such meat can cause infections such as MRSA(Methicillin-Resistant Staphylococcus Aureus). A drug, Ractopamine is administered to pigs, turkey and cattle to enhance the growth and produce larger quantities of leaner meat. Ractopamine is not approved for human use, but as it is given to the cattle during their growth phase, its traces still remain in the meat even after being packaged. Synthetic growth hormones and drugs in the food supply contribute to cancer, early onset of puberty, reproductive issues in women and developmental problems in children. The best way to avoid any health issues for you and your family is by taking precautions. You can start by taking interest from the shop you purchase the weekly stock of groceries. Make sure you buy it from a reputed retailer who maintains hygienic and clean surroundings. Before the purchase of any product, check the manufactured and expiry date. Also, ensure the packets are intact and properly sealed. Avoid buying loosely packed milk, pulses and spices from retailers. Avoid deals that seem too good to be true. Not that I’m telling you to buy the priciest product from the entire aisle. However, keep in mind-the cheaper the product, more chances of adulteration. Buy products from a well-known and popular company only. ISI marked products and branded items undergo stringent quality check protocols, thus ensuring the best quality and safety for the consumers. If any person manufactures, sells or imports food items which is adulterated or contaminated, he is liable under the PFA (Prevention of Food Adulteration) act to be punished with imprisonment. Report that person immediately to the PFA department in your city. You can opt for organic foods which are devoid of any chemicals, steroids and hormones. Organic foods have more beneficial nutrients compared to their conventionally grown counterparts. Even better, having your own little herb, vegetable garden at home is a great way to obtain chemical free vegetables. Here is how to plant your own garden at home. Read about super model Joey Matthew’s roof-top gardening endeavor here. Promoting small scale community driven farmers markets is a good way of reviving the farming industry as well as discouraging the consumer driven industry that has no qualms about large scale food contamination. You might think that you are giving the purest, safest food for your children and family. You even go that extra step to add less oil, salt or even sugar to the foods that you prepare not realizing that the basic ingredients that you are cooking with, could possibly be adulterated. Let’s strive to win this battle against the social evil of food adulteration. Please join the fight against food adulteration and like our FB Page ” Fight Against Food Adulteration- India”. READ MORE: ROOF-TOP GARDENING, WHY IT MATTERS? Disclaimer: The image is merely representational.